Just before starting work for WIN Television, I had to go to their head office in Ballarat for a few days to learn the ropes. While there, I had plenty of time to explore and take photos. This is when I discovered this old abandoned church on the outskirts. I must've driven past it a hundred times before on various trips to Ballarat, yet it was hidden by the trees. Just a short trip off the main road, up a dirt track and there it was. Unfortunately, it was sealed up pretty good and I was unable to get inside. There was definitely a creepy vibe to the area so it's possibly a good thing I didn't go inside. 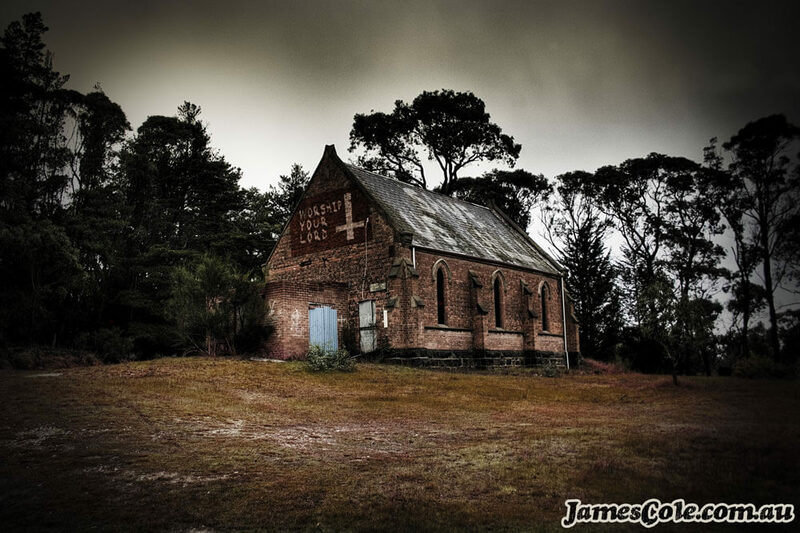 With the history of Ballarat, I wonder what the story is for this abandoned place of worship.